Our goal was to make a scene that only includes features that were already implemented during the lecture. We found inspiration by looking at available assets, especially assets that fit together. After finding multiple good looking weapon models with textures, we decided to use some of them. Our first thought was to render an ego-shooter-like scene. However, we knew that an outdoor scene - like in most video games - would most likely need Global Illumination, which we did not have implemented. Therefore, we focused on a indoor scene. 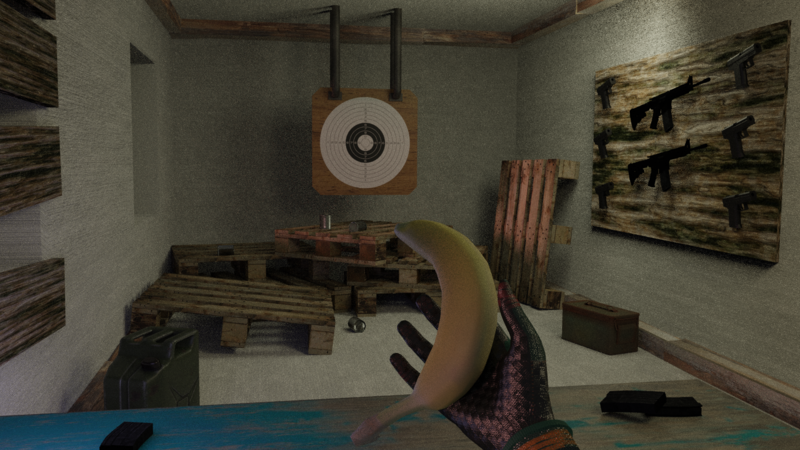 To get the best out of a 3D indoor scene, we needed a foreground, middleground and background. From previous rendering competitions, we also liked pictures, that includes humor. 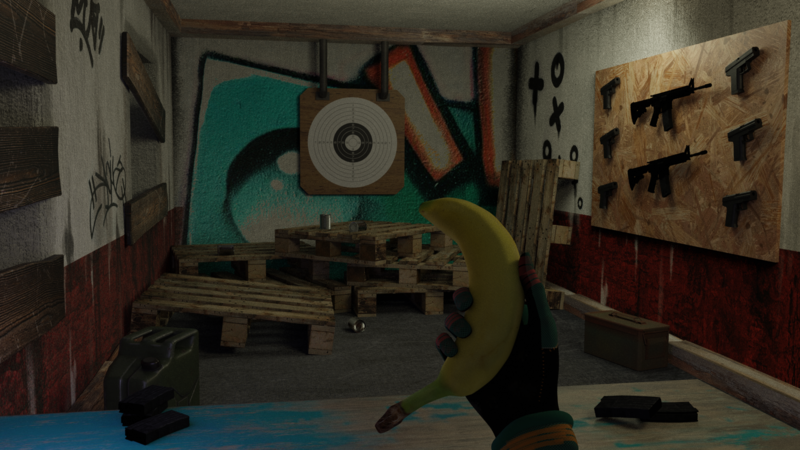 Therefore, we added a twist in our scene: the banana! 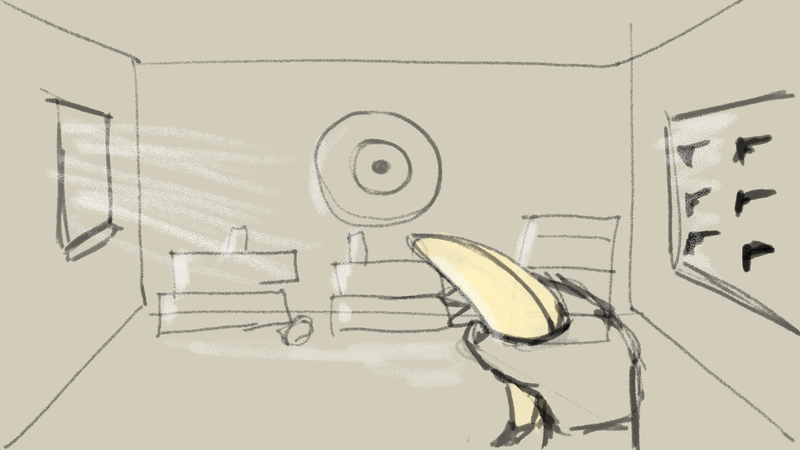 Our sketch below shows an early concept of our scene. We tried out a small variety of quick mockup scenes in Blender 2.8b, which led to the final image after several iterations. These images were rendered with the internal Blender Renderer "Cycles". After the camera position were set in blender, we also tested the scene in our renderer step by step, starting with the geometry and camera up to textures and light. 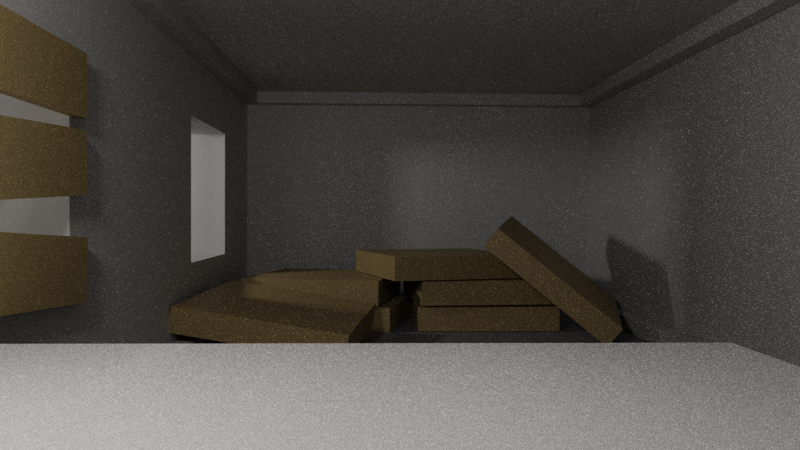 Because the lights in blender differs from ours, we neglected the lights in blender at some point. In total, we used six point lights (four warm, two cold colored lights) and two area lights (both warm). To balance out these lighting effects we added gamma correction to our rendered image. 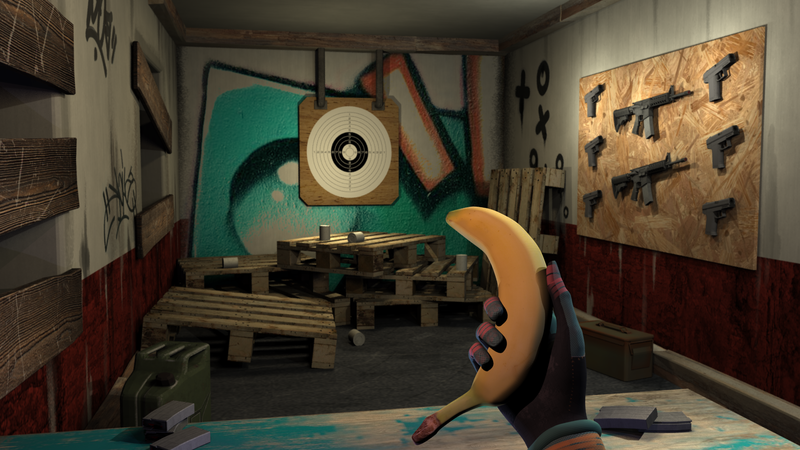 A light depth of field camera effect makes the picture look more appealing and focus attention on the object in the foreground - in our case the hand holding the banana. 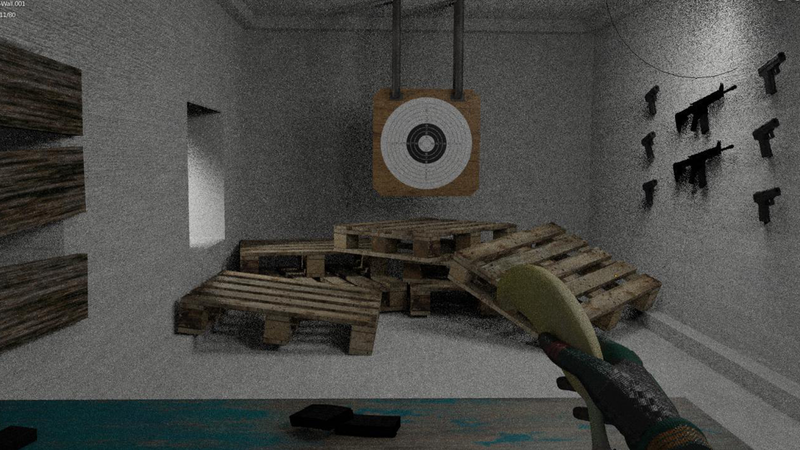 Used 3D models and textures. © Mira Niemann & Vladislav Hnatovskiy. All rights reserved.